For those who want to continue their adventure and gain new experiences! The PADI Advanced Open Water Diver Course is aimed for people age 10 and up. Gain new skills and confidence with a supervised experience which allows you to dive to 30m. There are two mandatory dives: Deep and Navigation. You can discuss with your instructor which three additional Adventure dives to choose from. 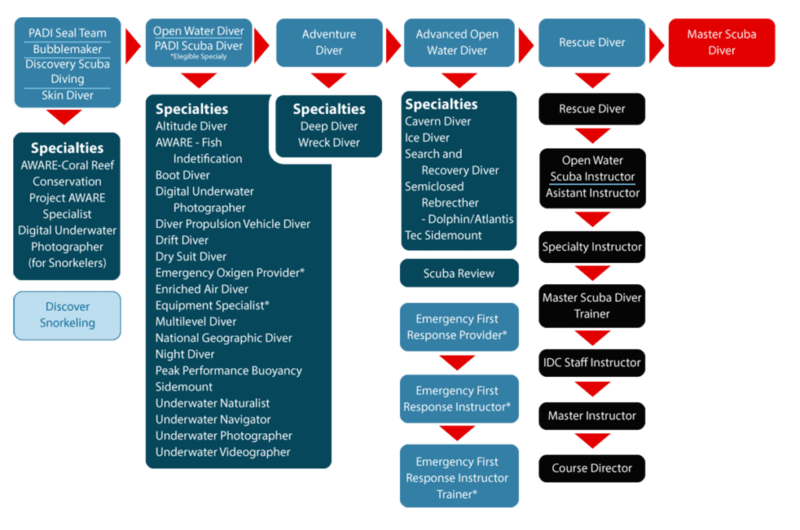 Schedule: The PADI Advanced Open Water Diver course is conducted over 2 days. You first day will start at around 8am and finish around 4pm. Your second day will start at around 8am and finish around 1pm. Includes: 5 adventure dives with a PADI Instructor, digital PADI Advanced Open Water Diver Manual, PADI certification, and full equipment rental. Sign up for your Lembongan PADI Advanced Open Water Diver Course today. Soon you will be continuing your adventure safely with one of our instructors at Ceningan Divers, PADI 5 Star Dive Resort.